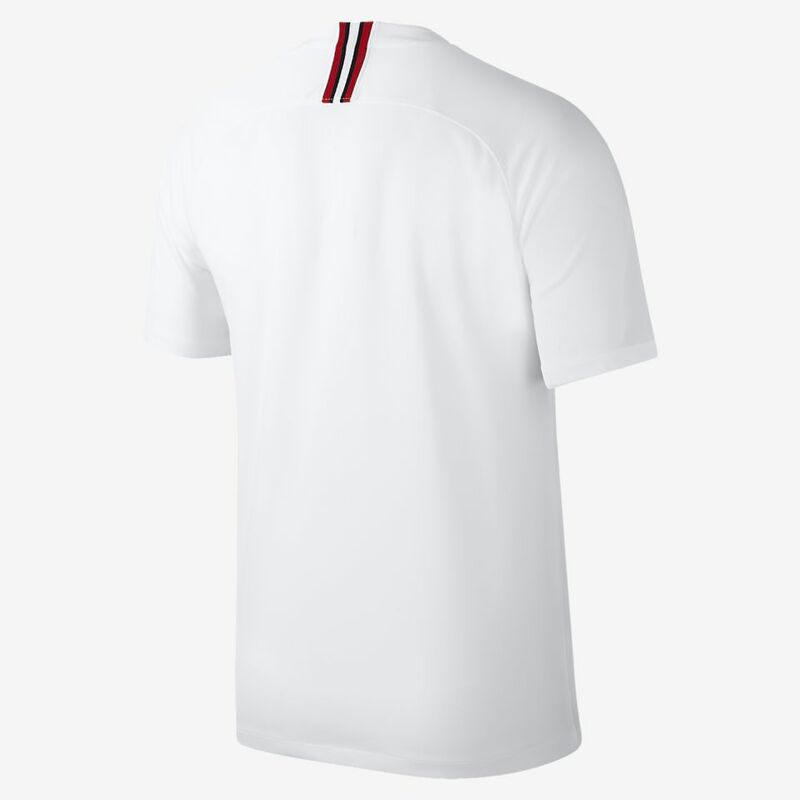 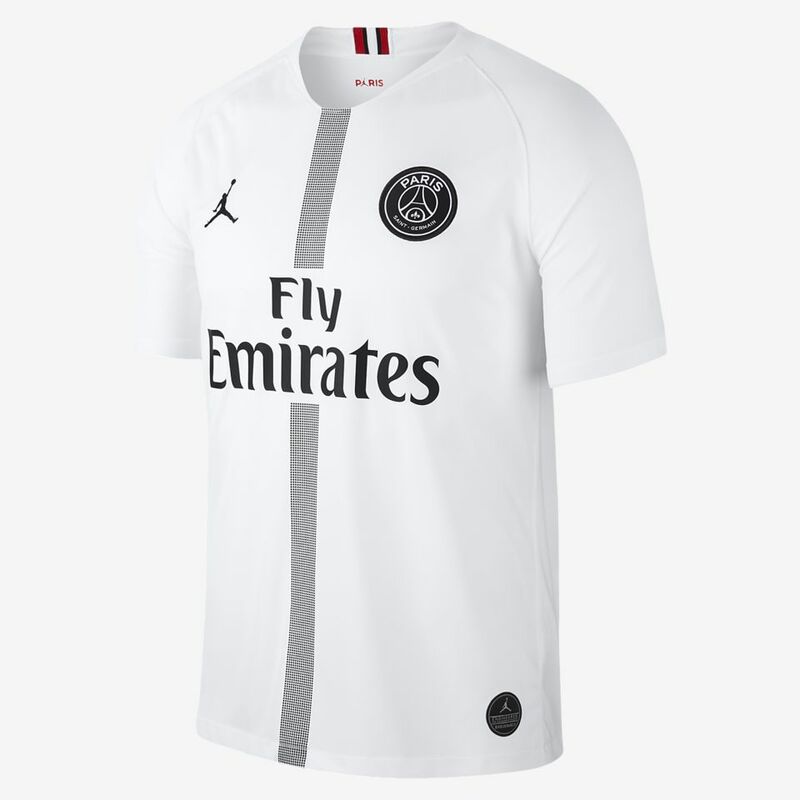 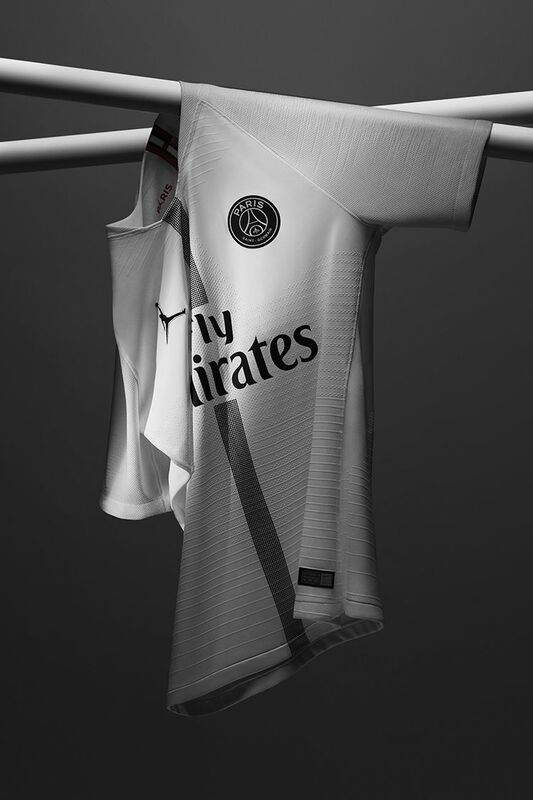 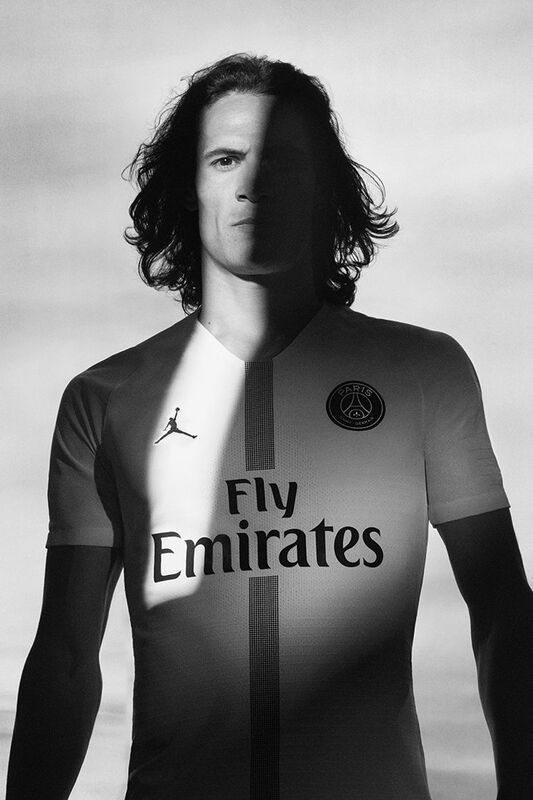 This season, Paris Saint-Germain's white kit takes the club's traditional Hechter design and gives it a super-clean Jordan makeover. 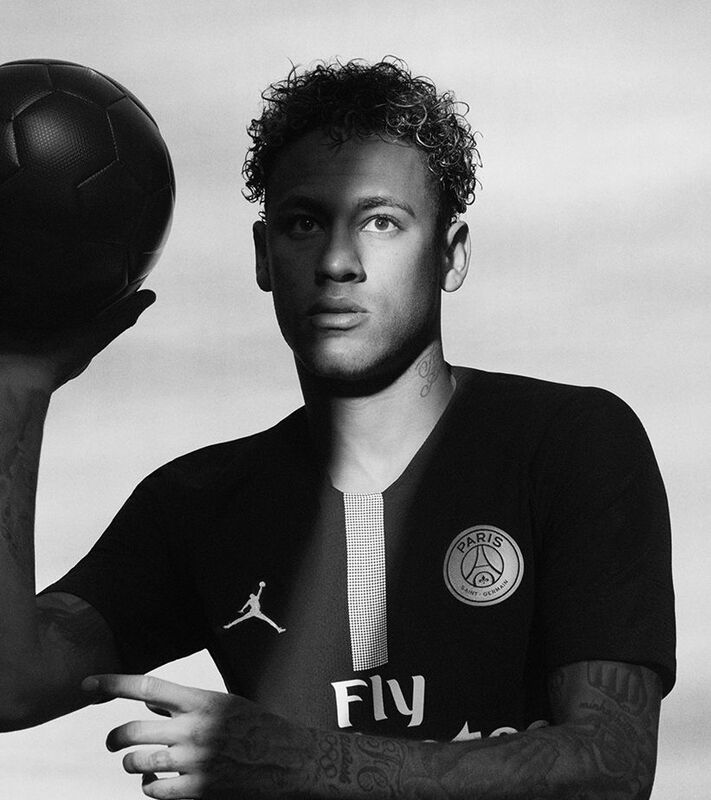 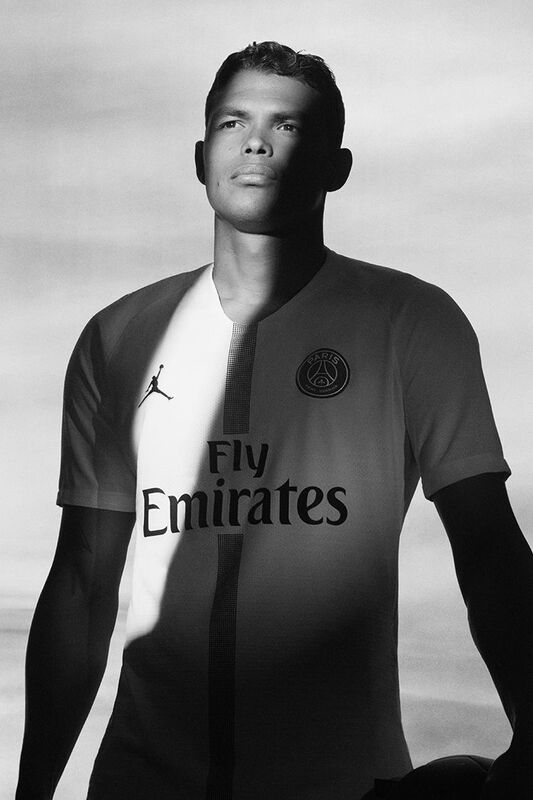 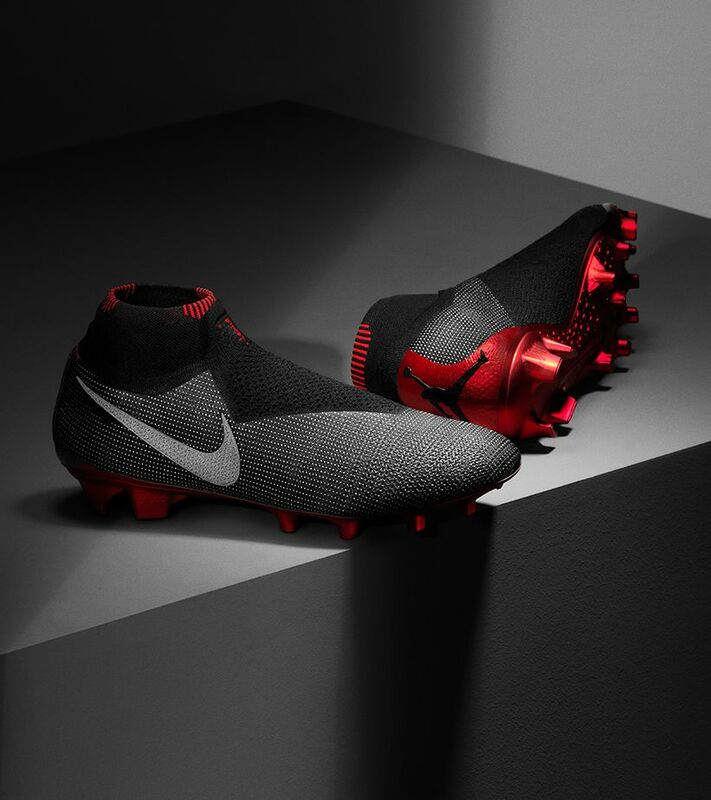 Part of the Jordan X Paris Saint-Germain partnership, this European kit and its black counterpart are the first ever Jordan football kits. 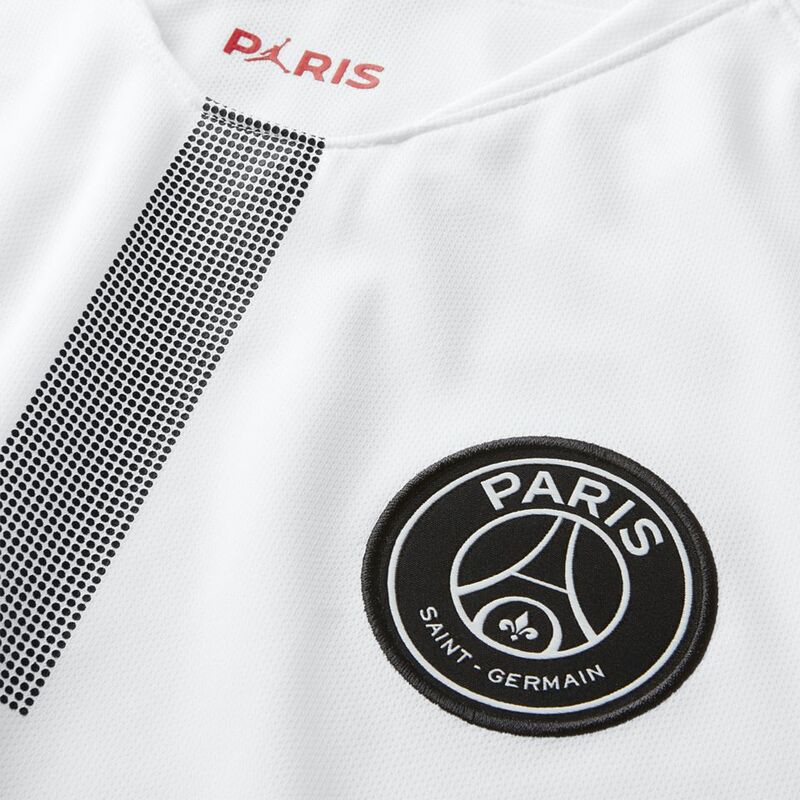 Brimming with Parisian flair, the shirt sports a slender version of the traditional "Hechter" band down its centre with a clean black and white colourway throughout. 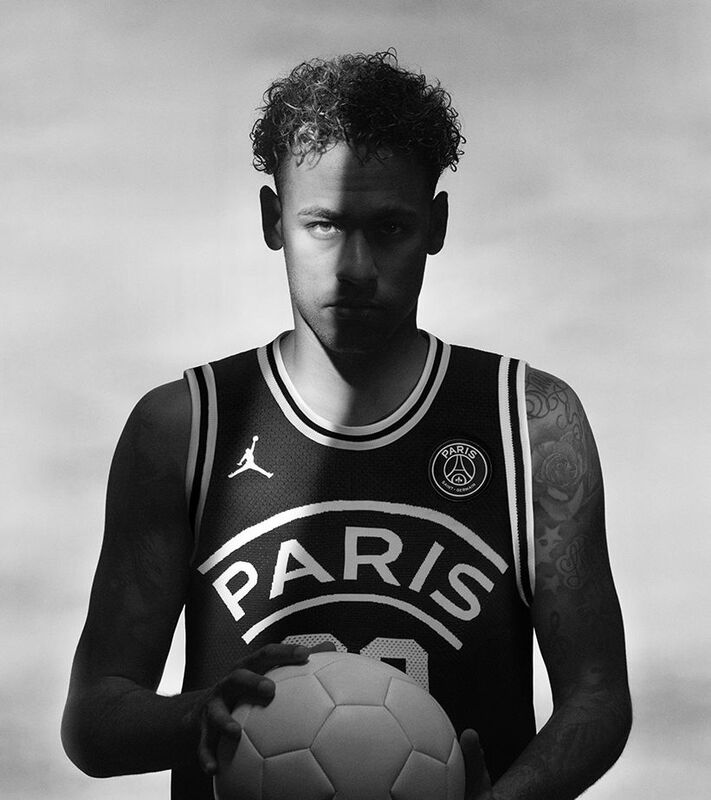 The world-first partnership between these two sporting icons sees the bold defiance of Jumpman meet Parisian flair. 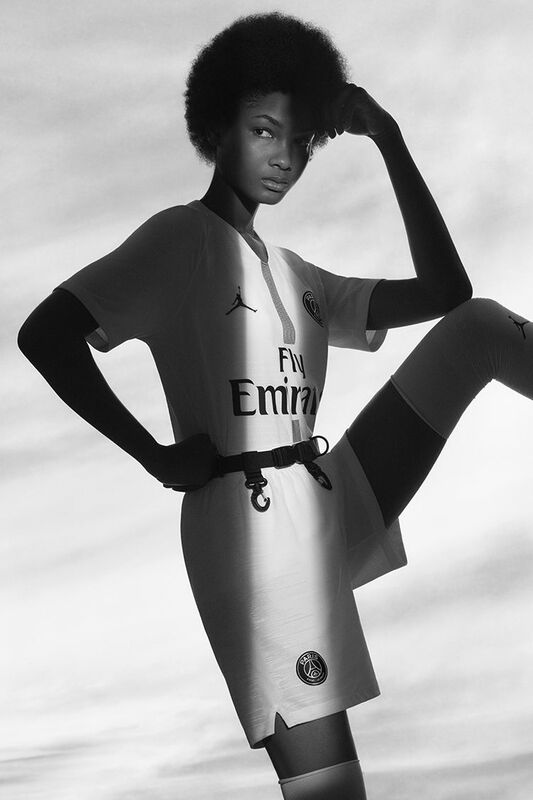 Featuring a Flight Knit Shirt, Coach Jacket, training apparel and kits, this subtly powerful collection will stand out in the stadium and on the street.